Linen. 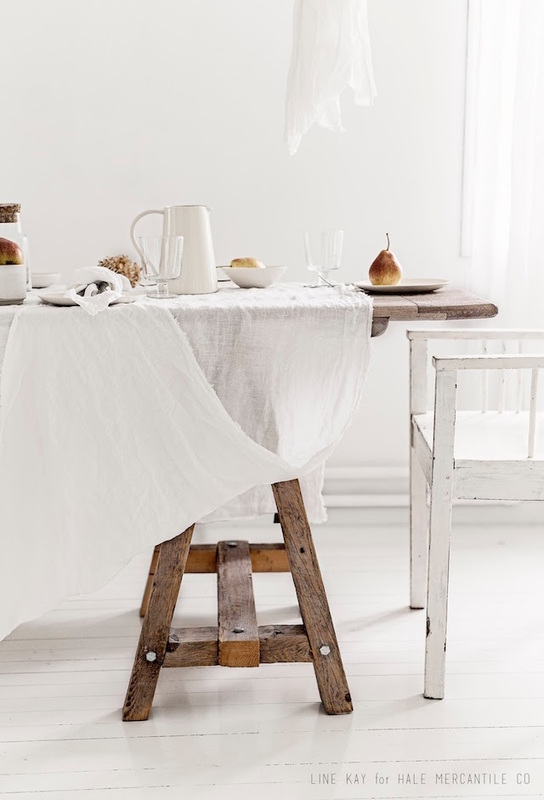 Oh how I love linen. Especially the natural stone washed variety seen in so many homes right now. Whether draped over the sofa, on a headboard, a table or of course on the bed, it immediately softens the look of a room and adds a wistful, romantic touch. 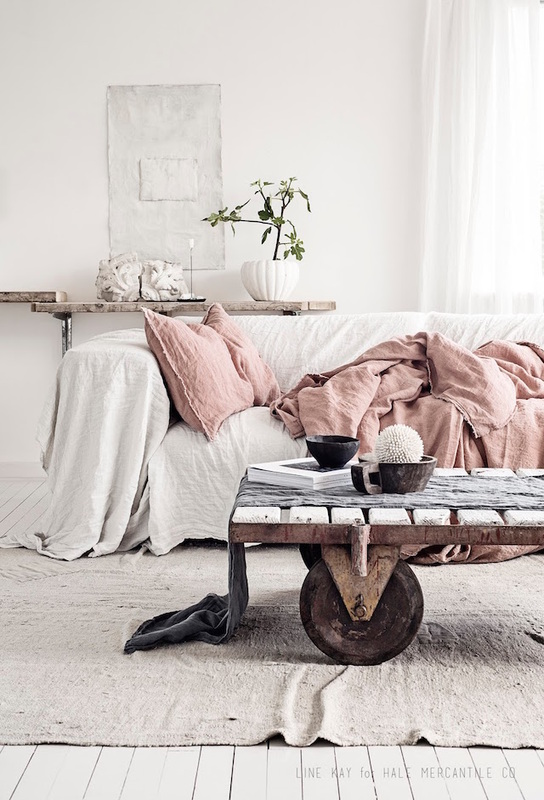 Take these dreamy inspiration images created by linen merchants Hale Mercantile Co created in collaboration with Vintage Piken - who's cosy Norwegian home I once also featured here). 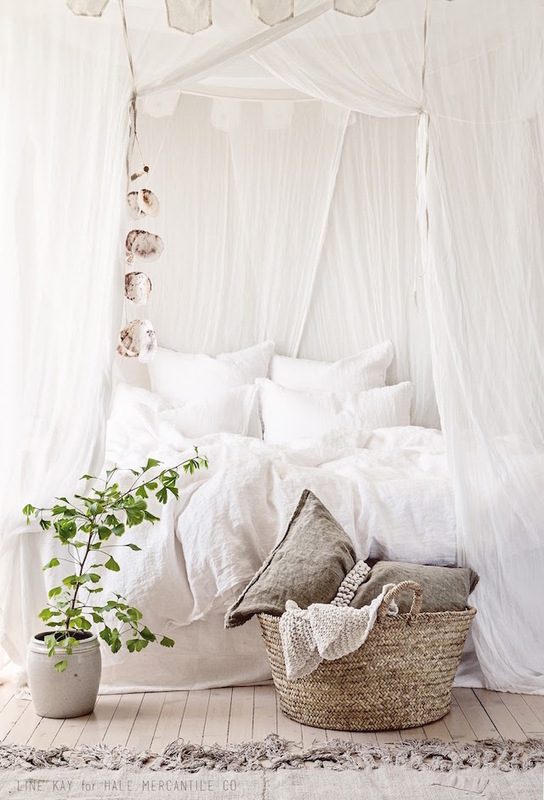 They make me want to cover my entire home in soft linen - how about you?! Oh so lovely, don't you think? 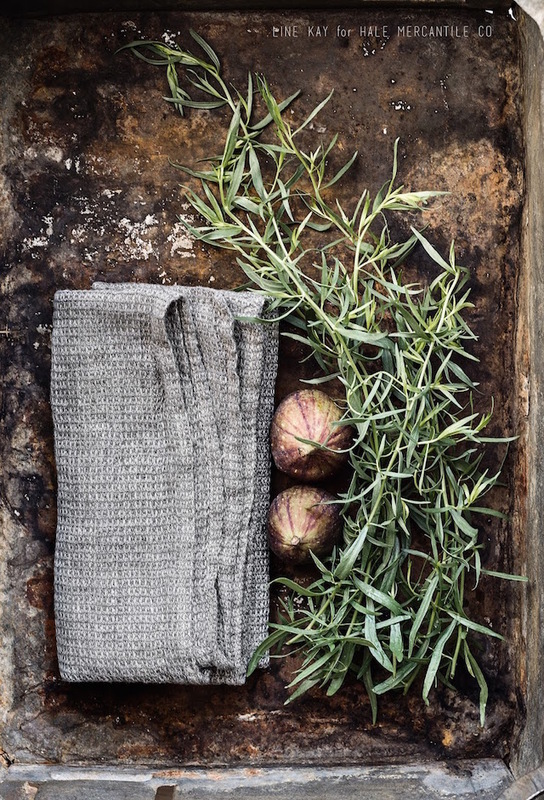 All the linen is available at Hale Mercantile Co.
And if you have time today, definitely pour yourself a glass of something cool and take a browse through the vintage piken blog - I love how on the 'about' page it says: 'words are scarce on this blog - please enjoy the silence.' We will, oh we will! Have a lovely, *peaceful* day! PS this is not a sponsored post - I just thought the images were too lovely not to share! They are lovely aren't they? Line Kay is so clever! 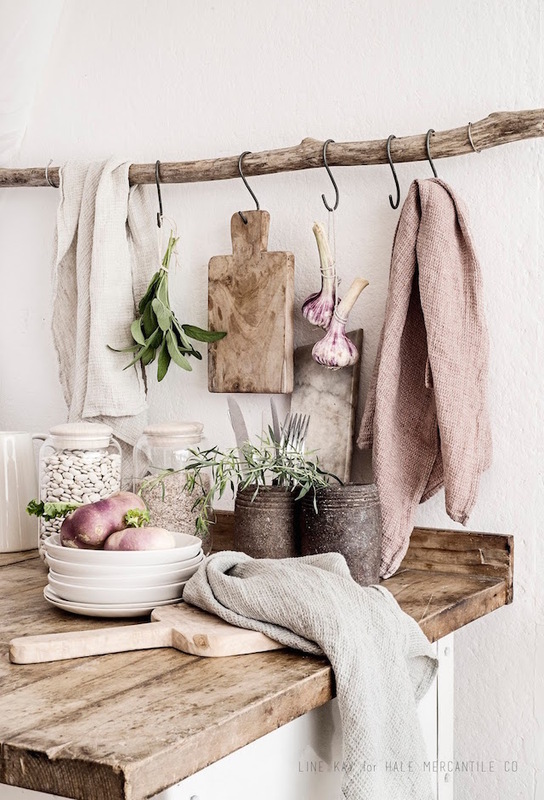 All the shades that I like (love): white, grey, blush... It's unfortunate that linen is so pricey. Wish my flat was flooded with natural light like that. Mine looks greyish most of the time. I love the shades too - so pretty! 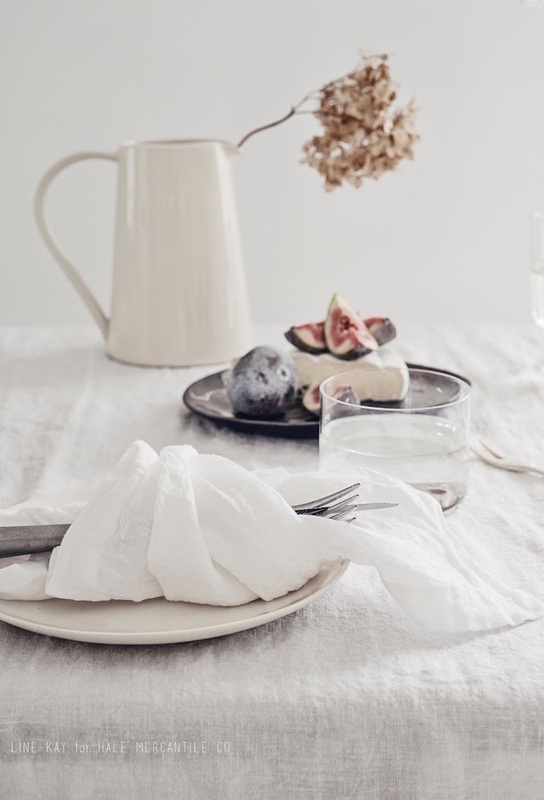 It's worth looking around for good quality linen that's also afforable, I find Etsy a good source (happy to send you some links if you wish). Have a lovely evening! An ethereal post. Lovely, lovely! I love every image in this set. So dreamy!